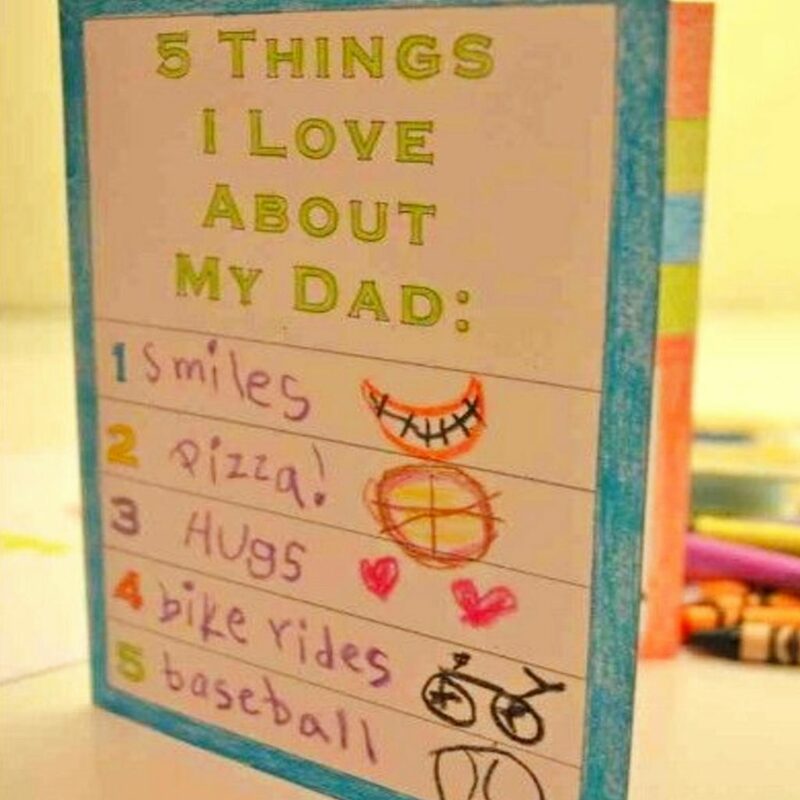 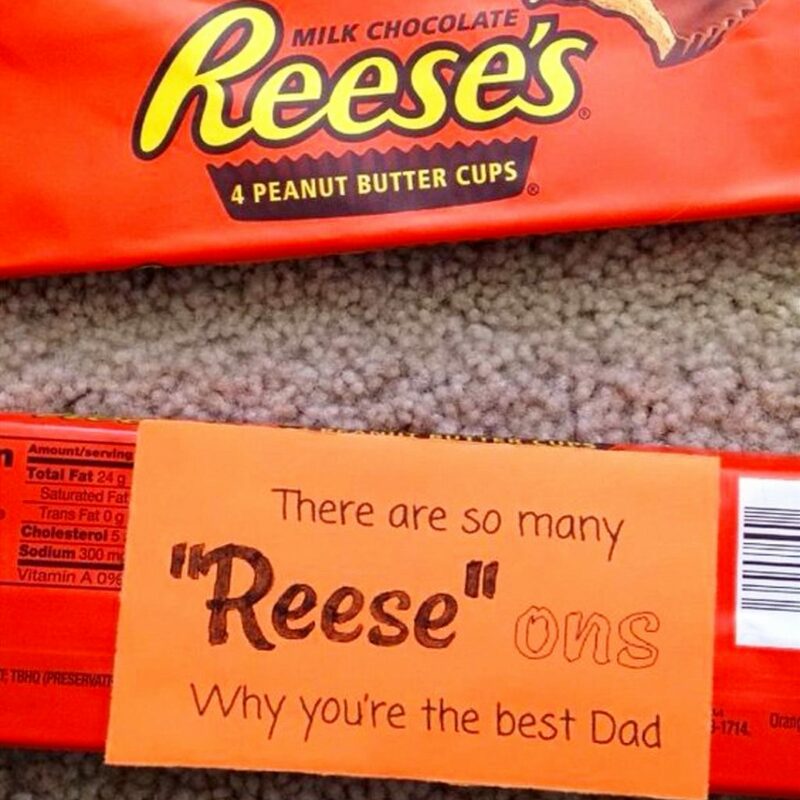 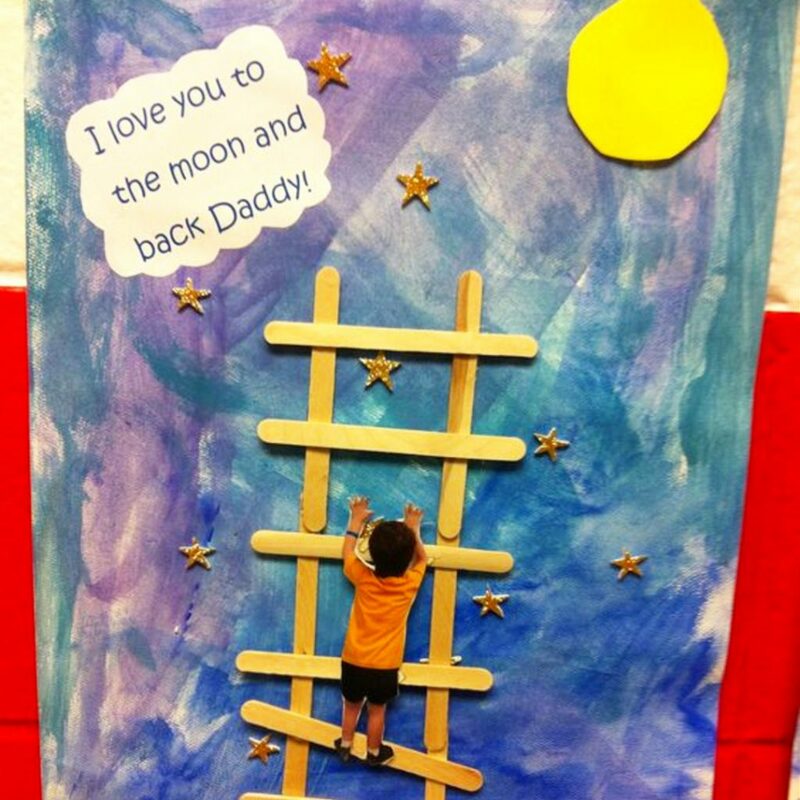 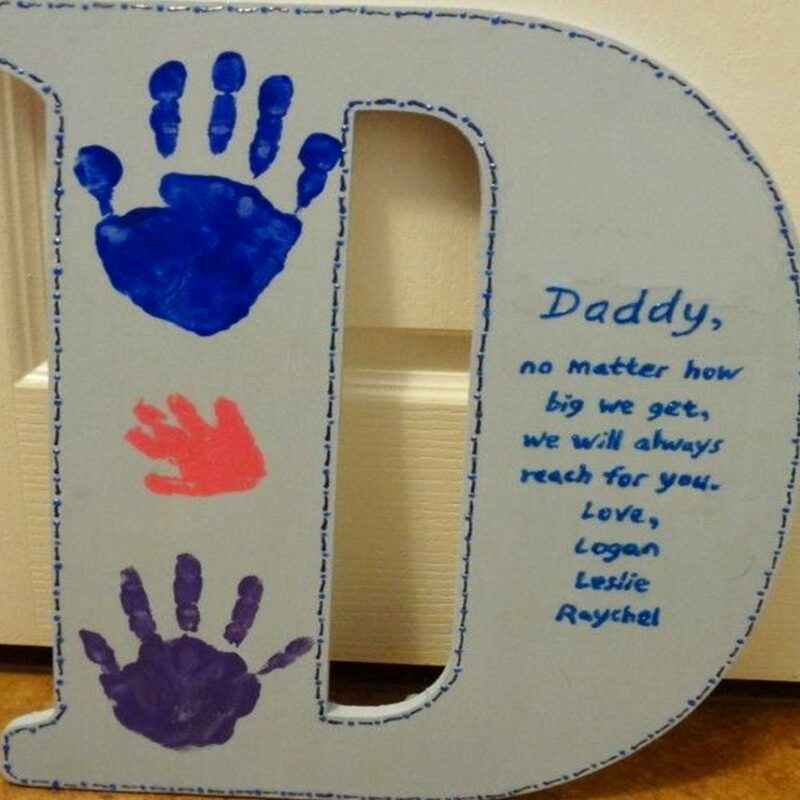 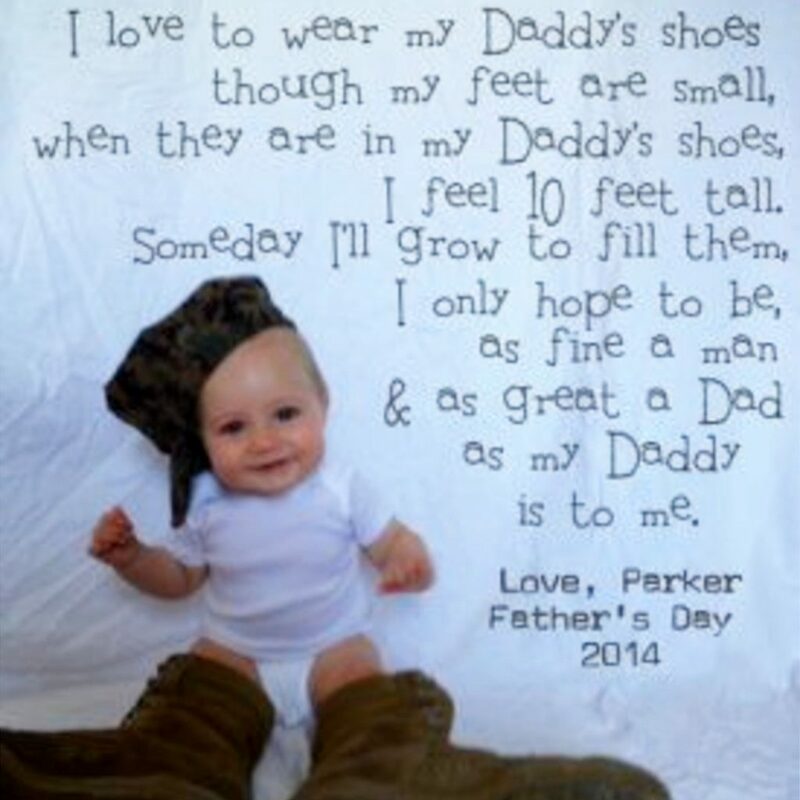 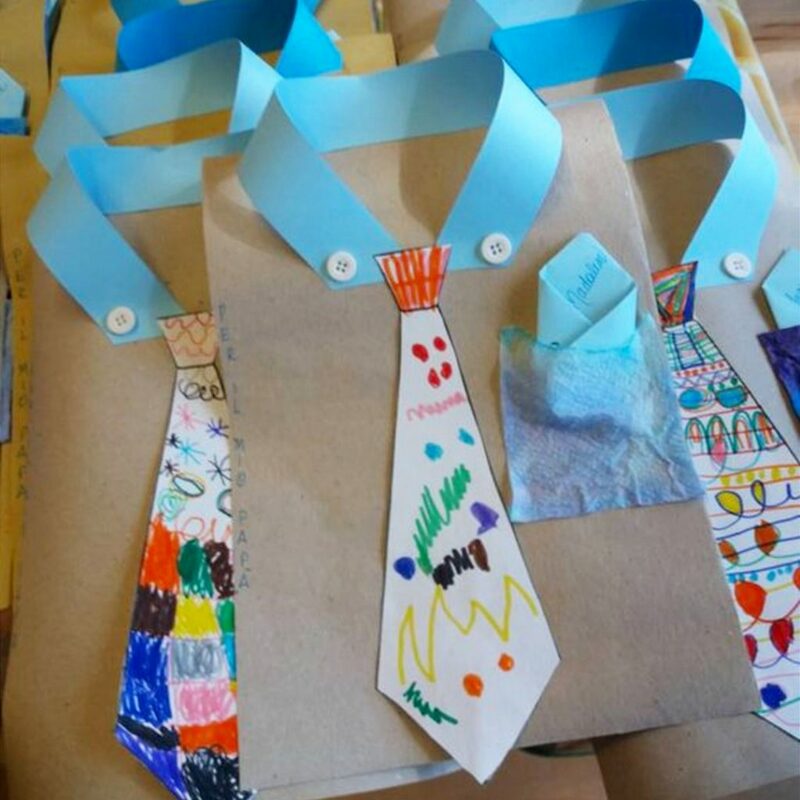 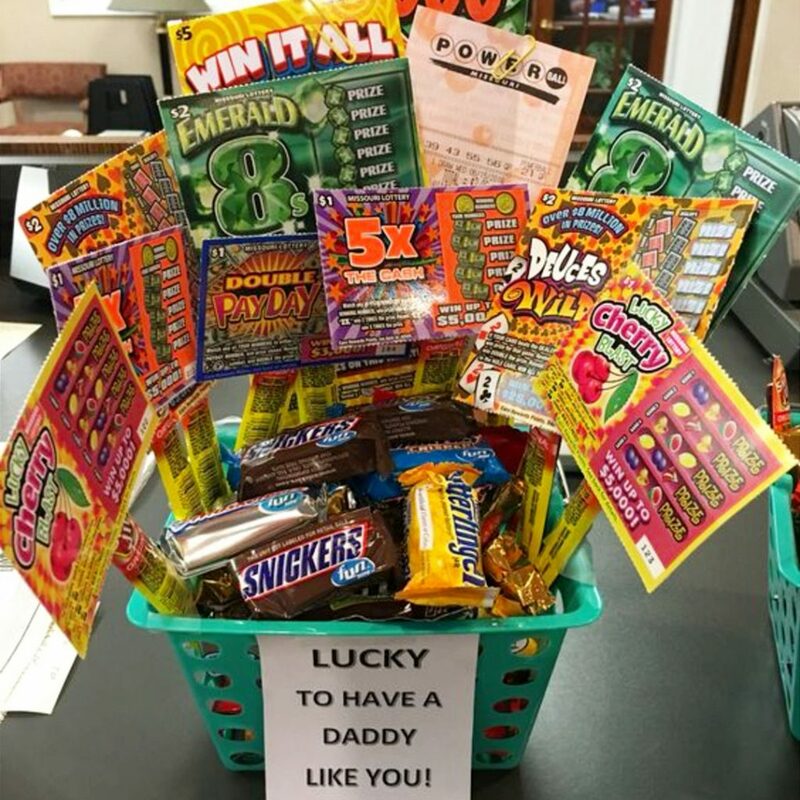 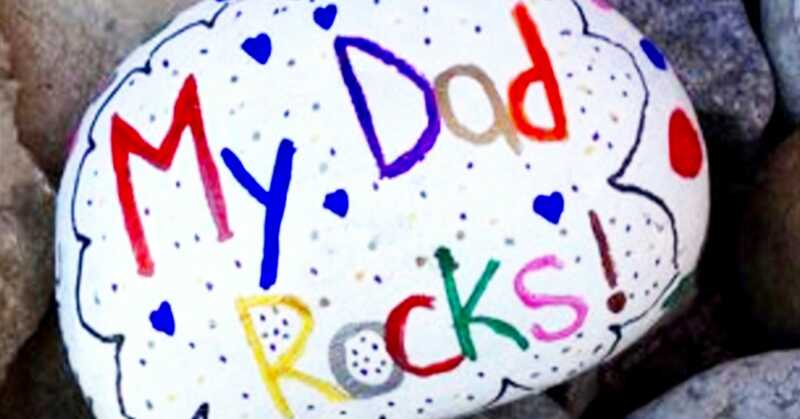 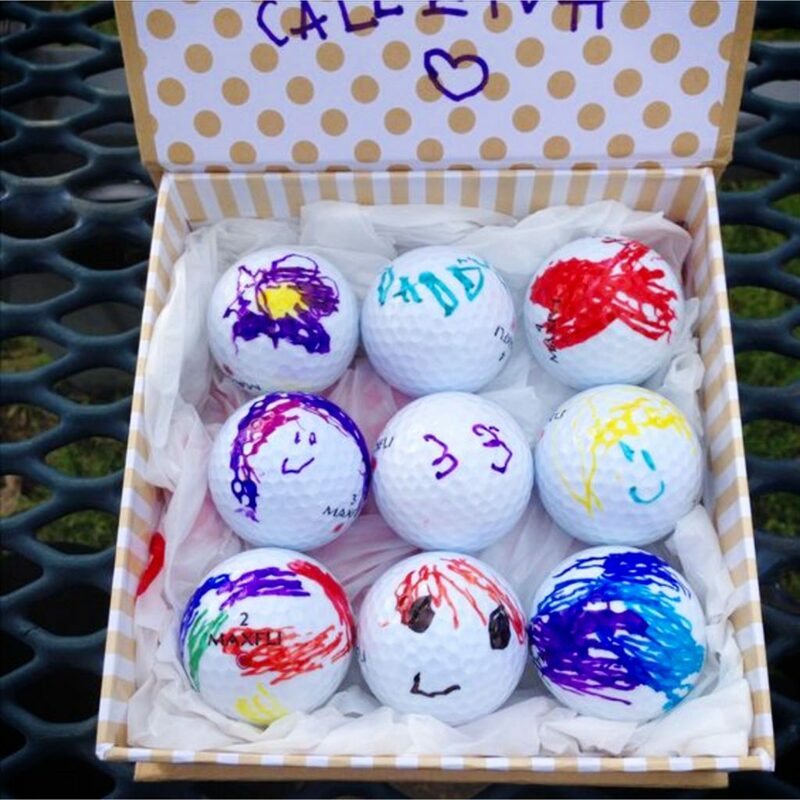 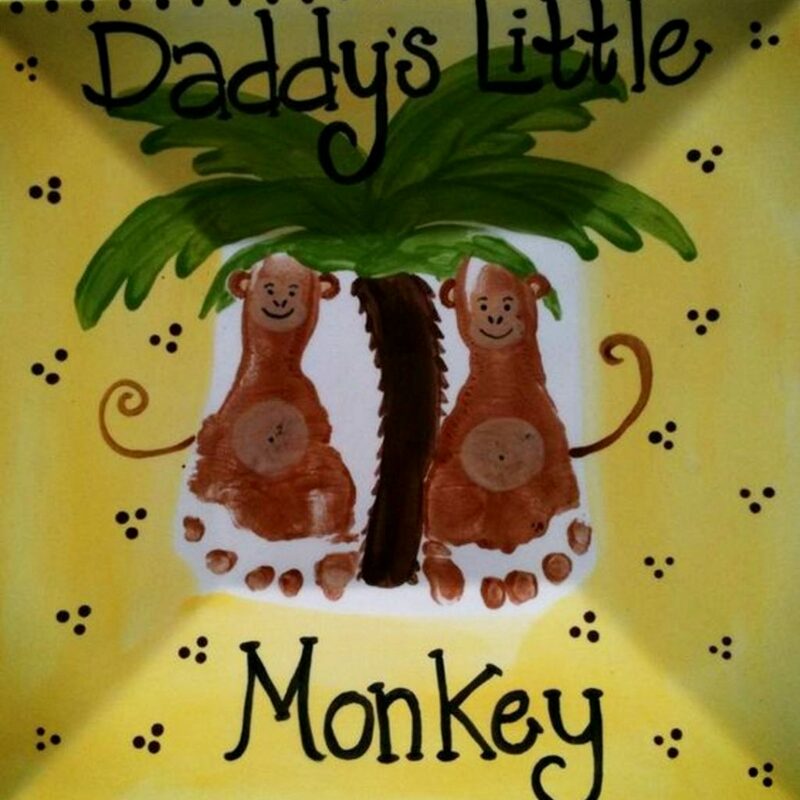 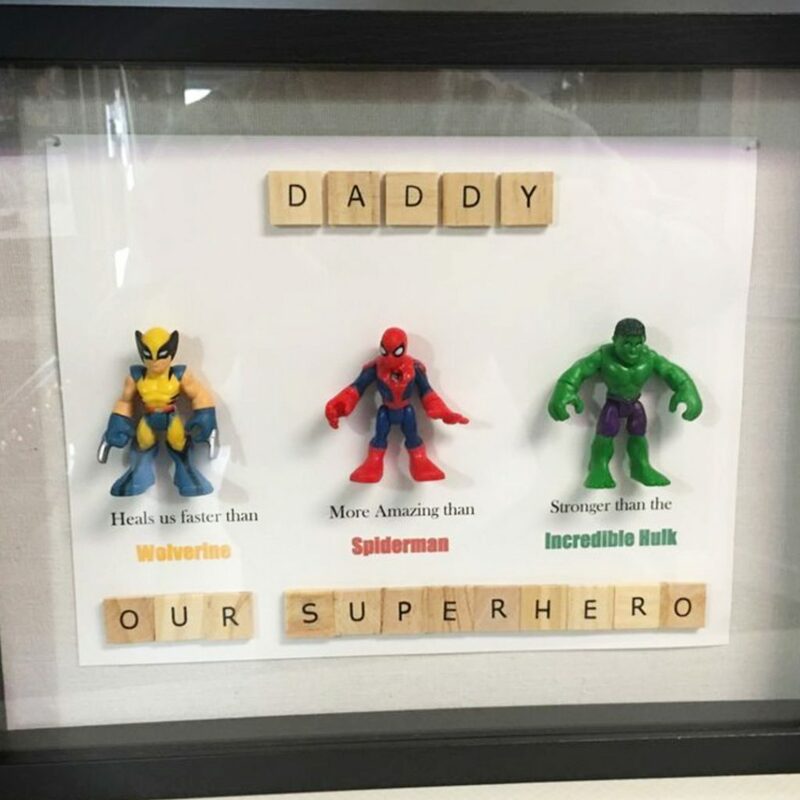 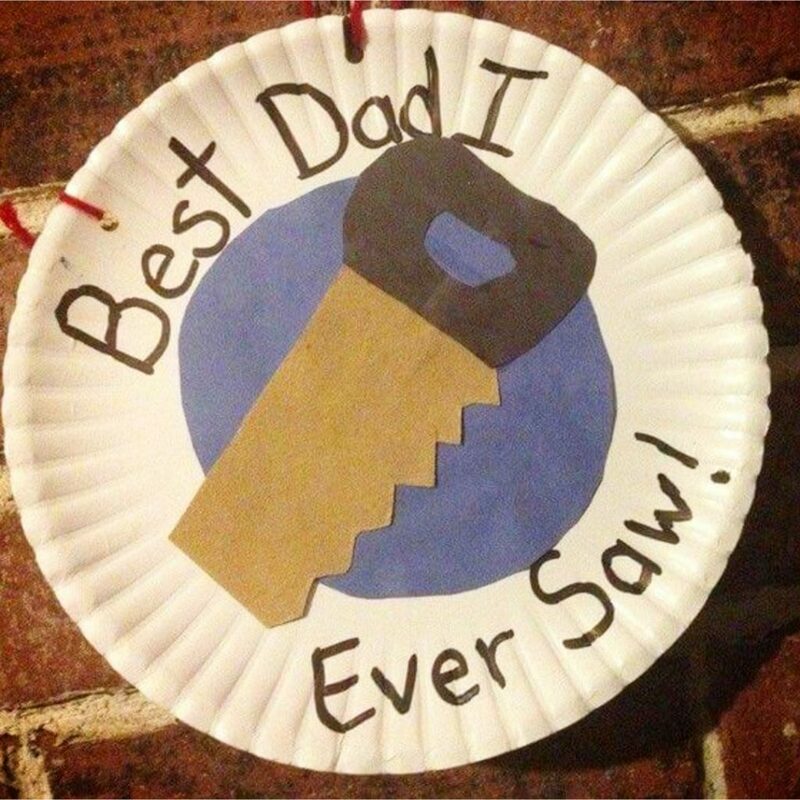 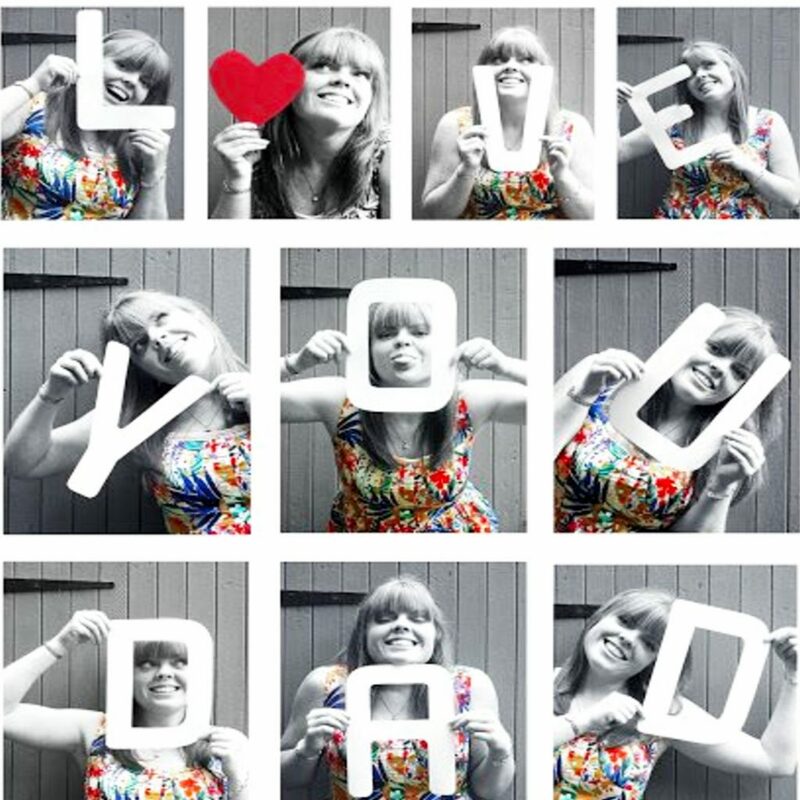 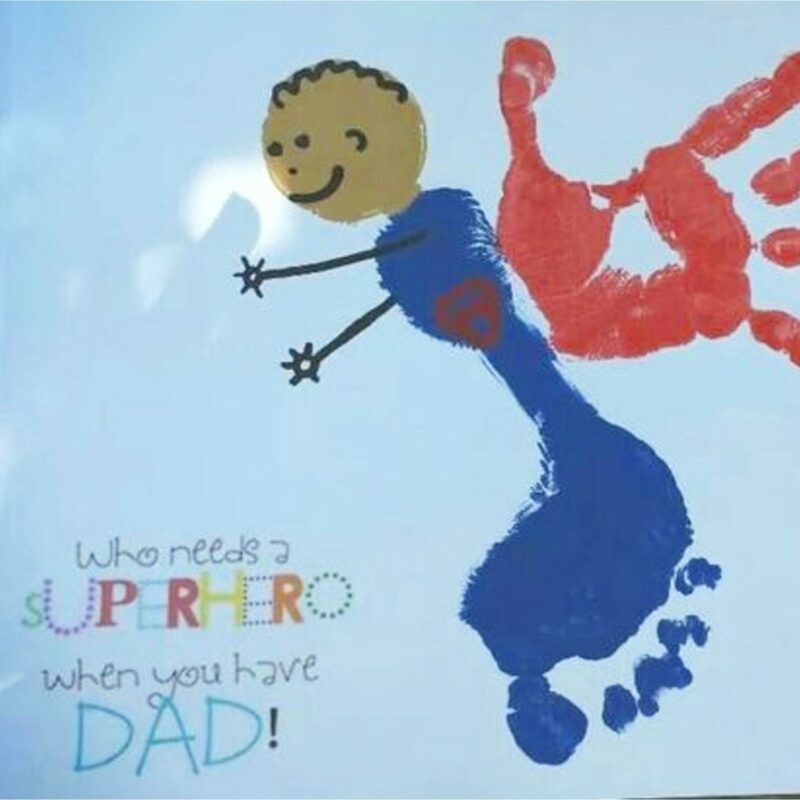 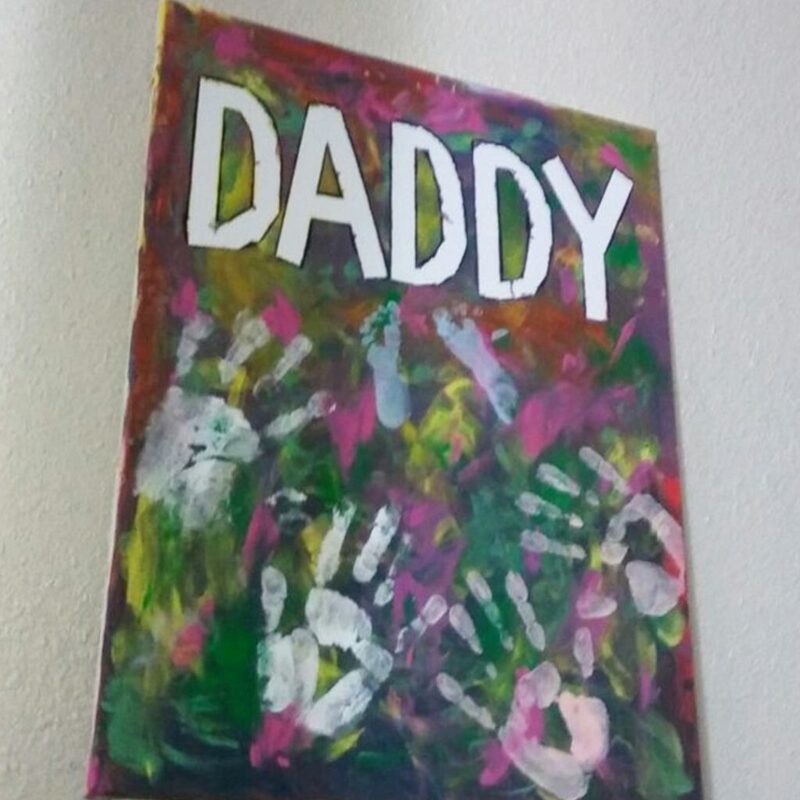 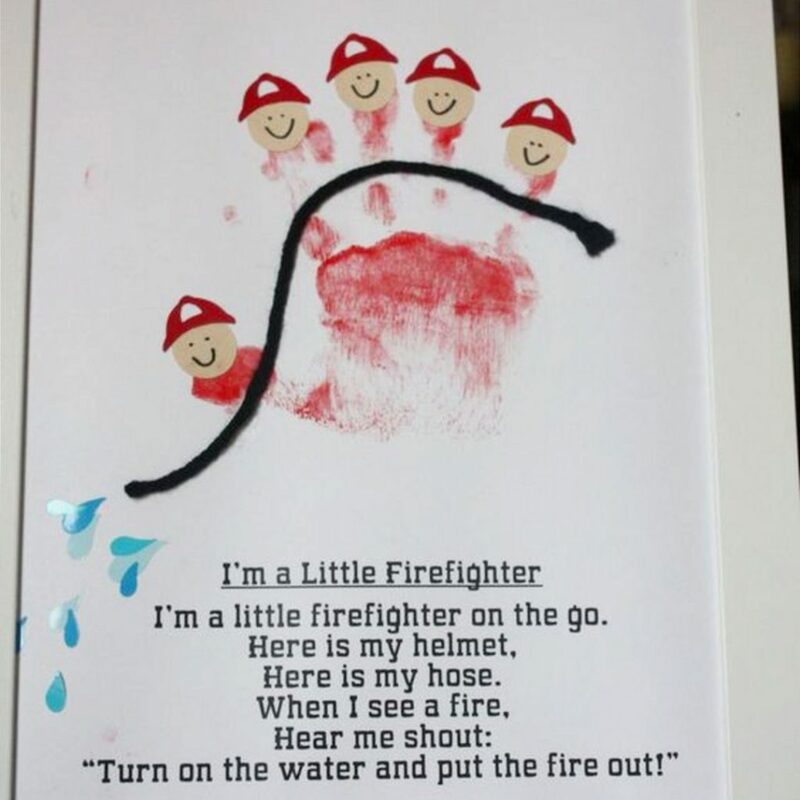 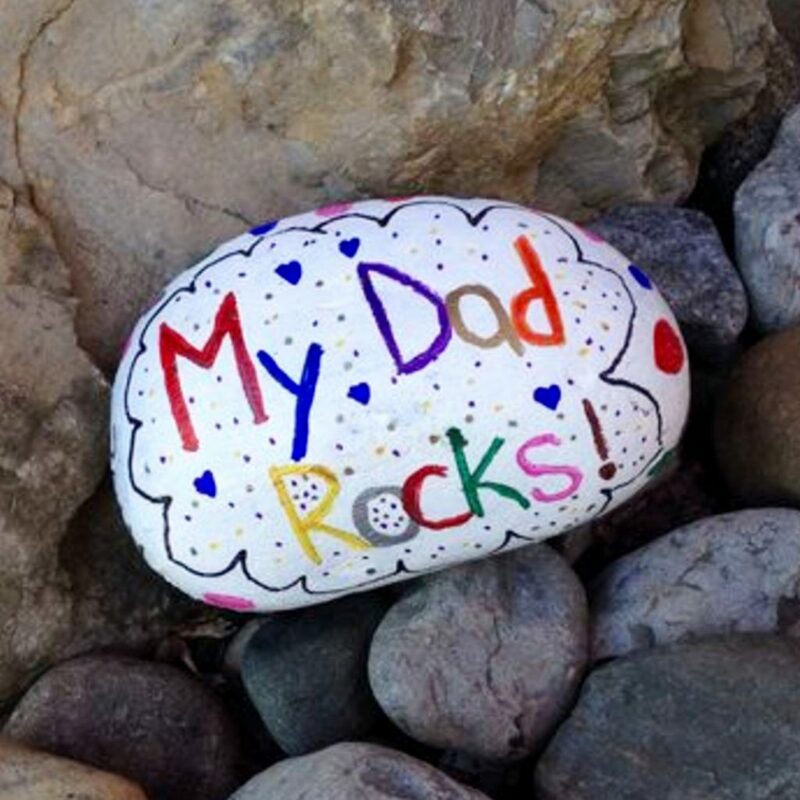 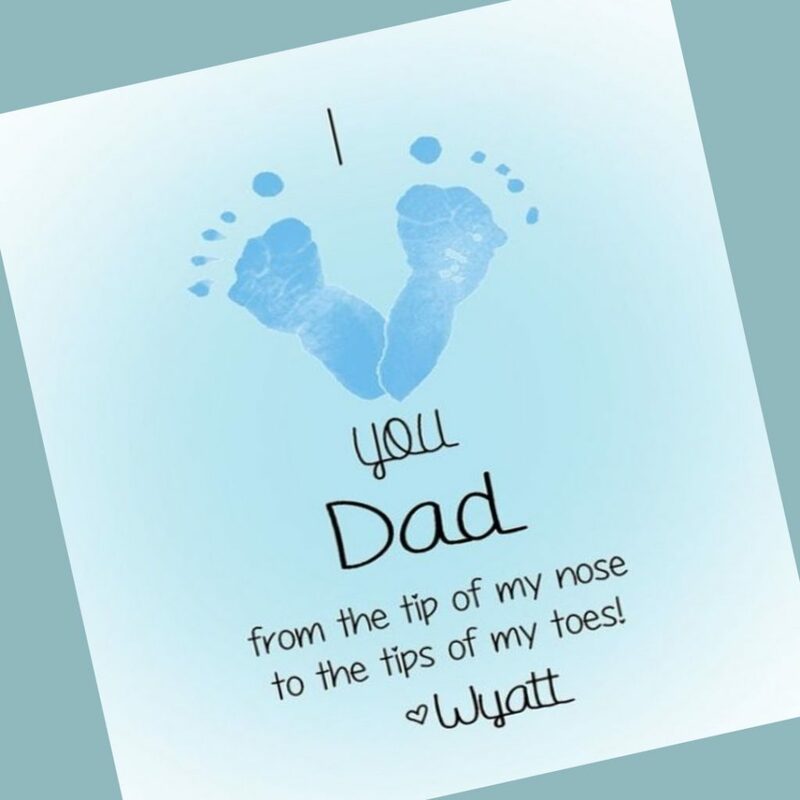 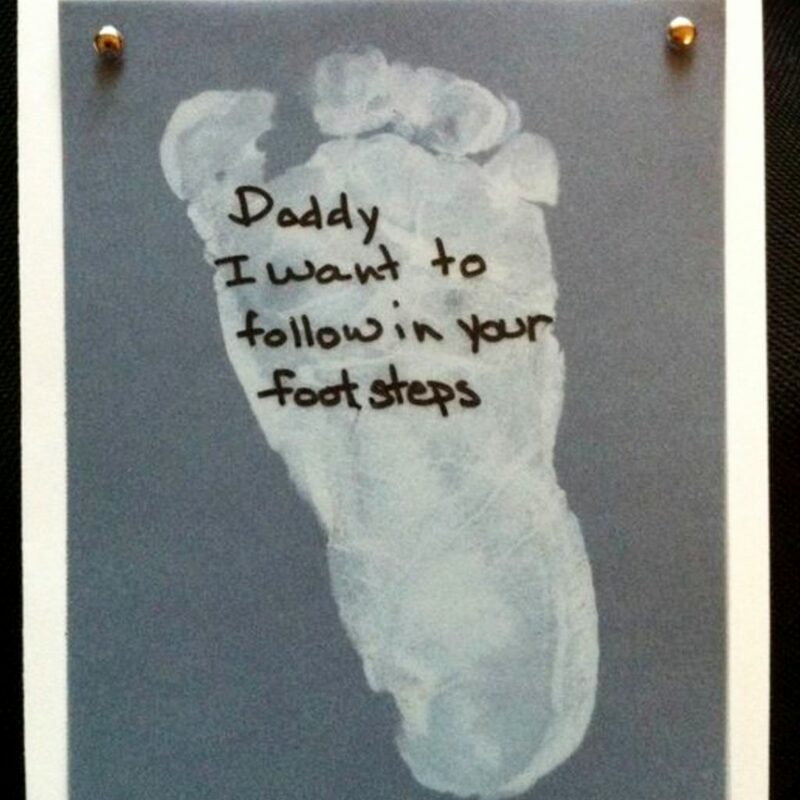 These are the cutest Father’s Day crafts! 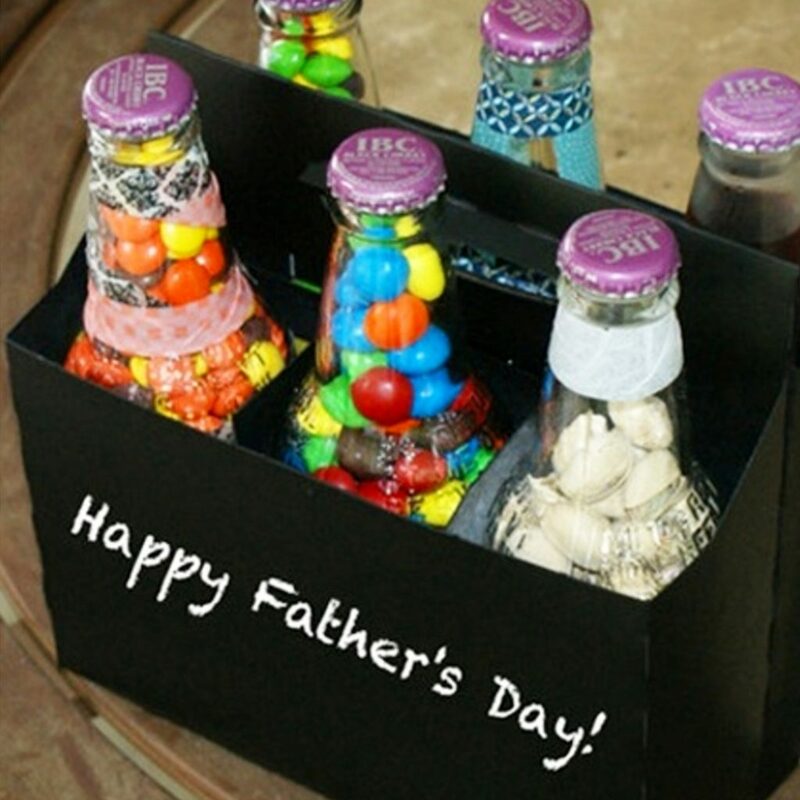 Would be great as homemade gifts for Dad’s birthday, too! 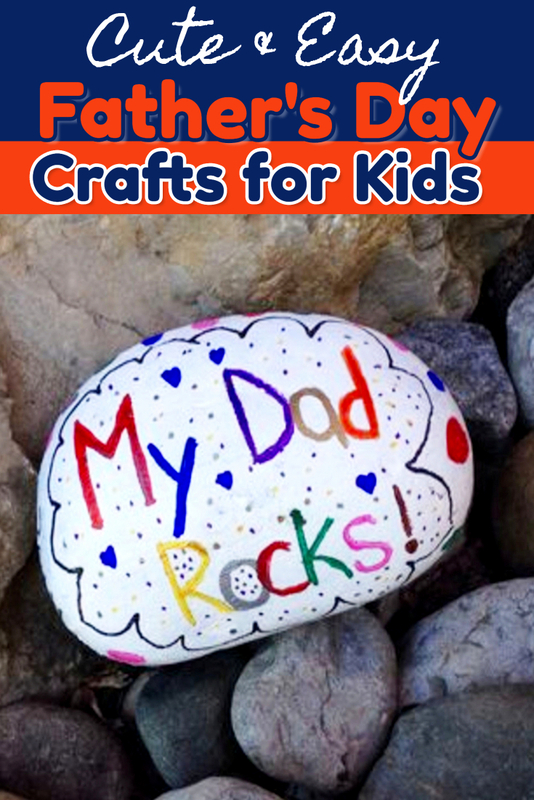 The 50+ easy crafts for kids to make for dad below are mainly for younger kids to make – more along the toddler / preschool / kindergarten ages, but any of these craft ideas can be modified for older kids or as craft ideas for school, church, pre-k, etc. 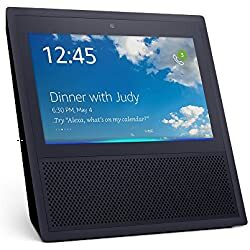 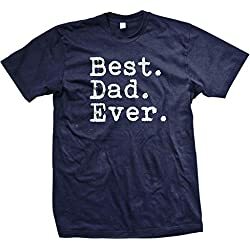 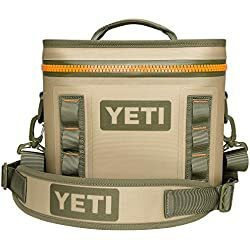 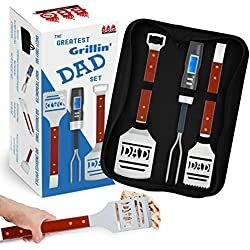 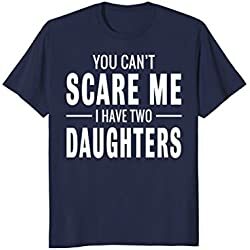 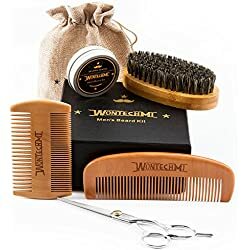 Fathers Day is around the corner. 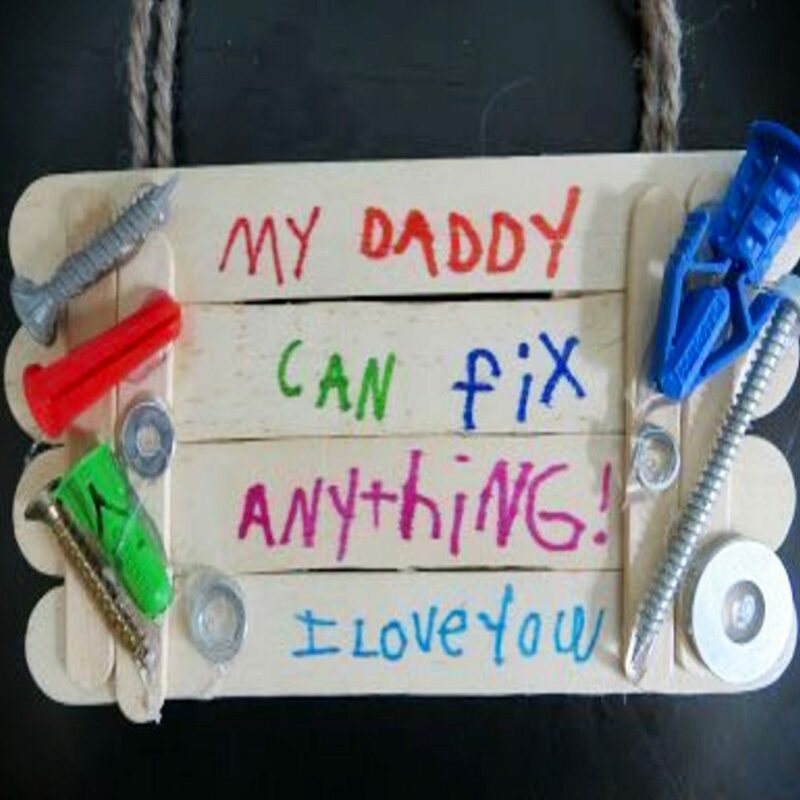 These cool Fathers Day crafts kids can make are just the thing that dad will treasure for years to come. 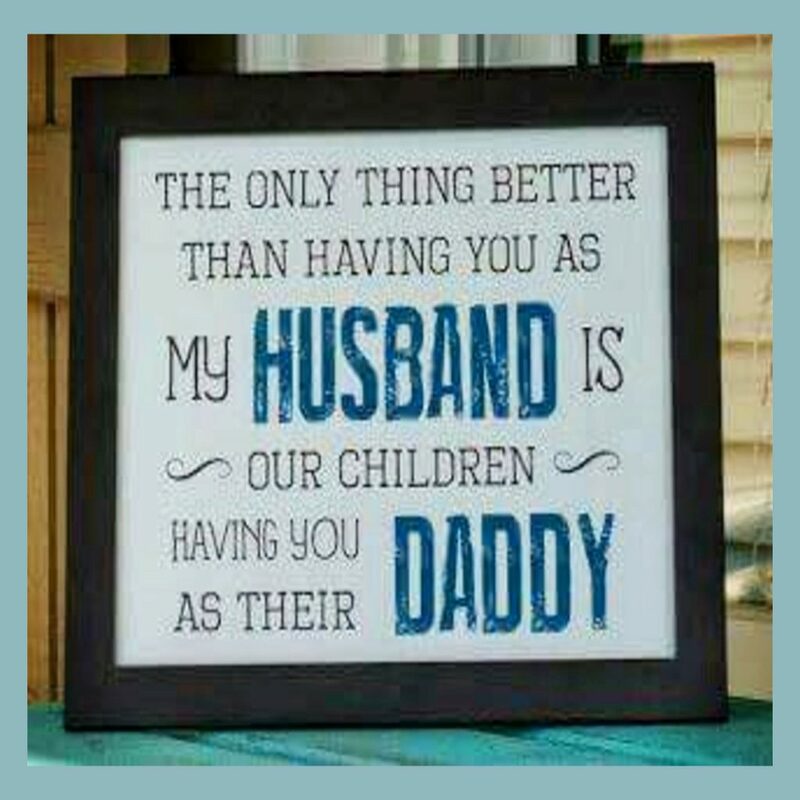 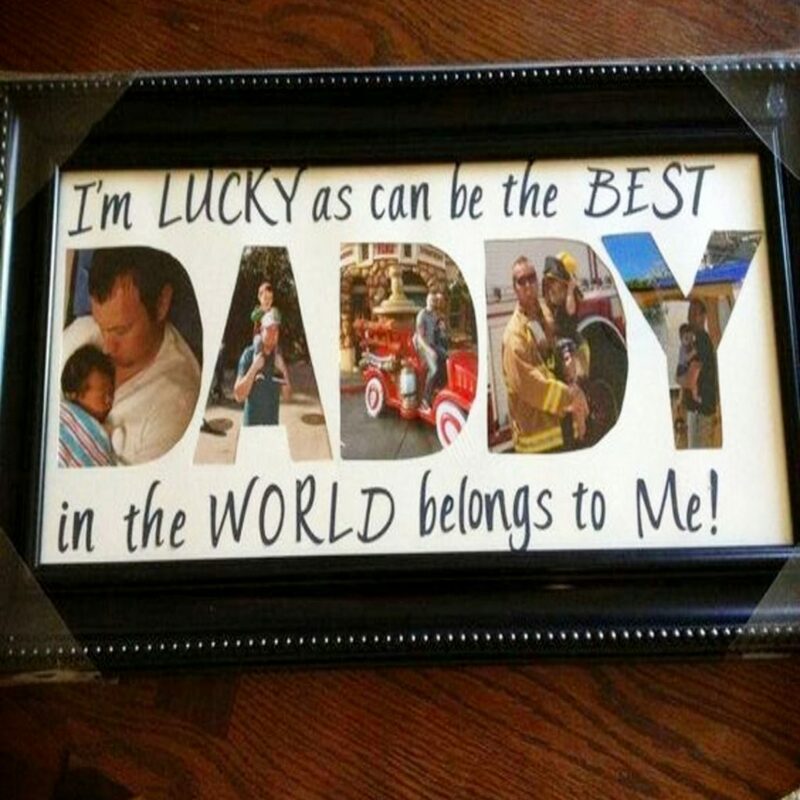 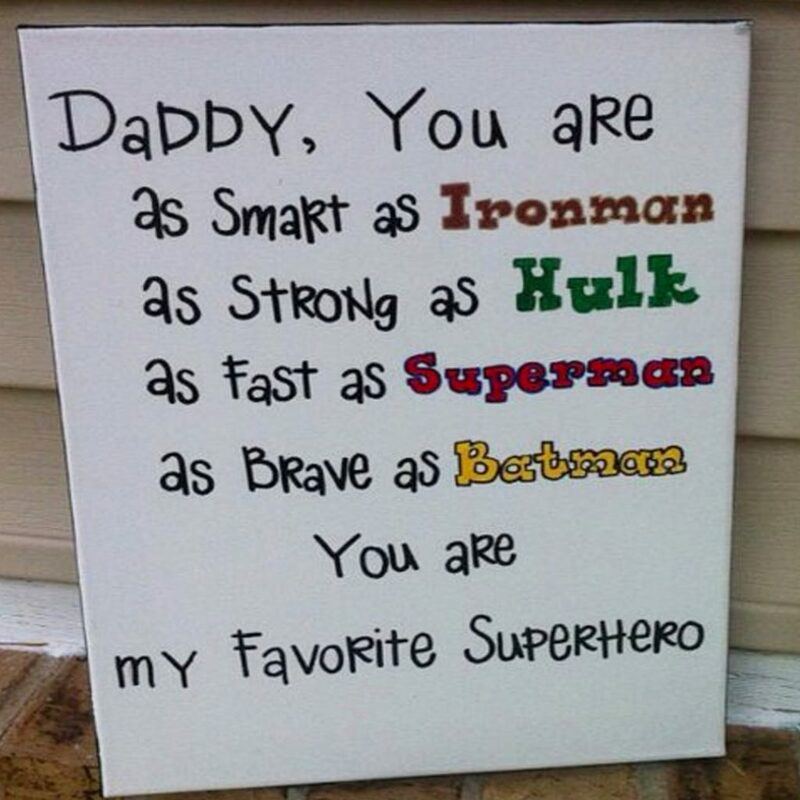 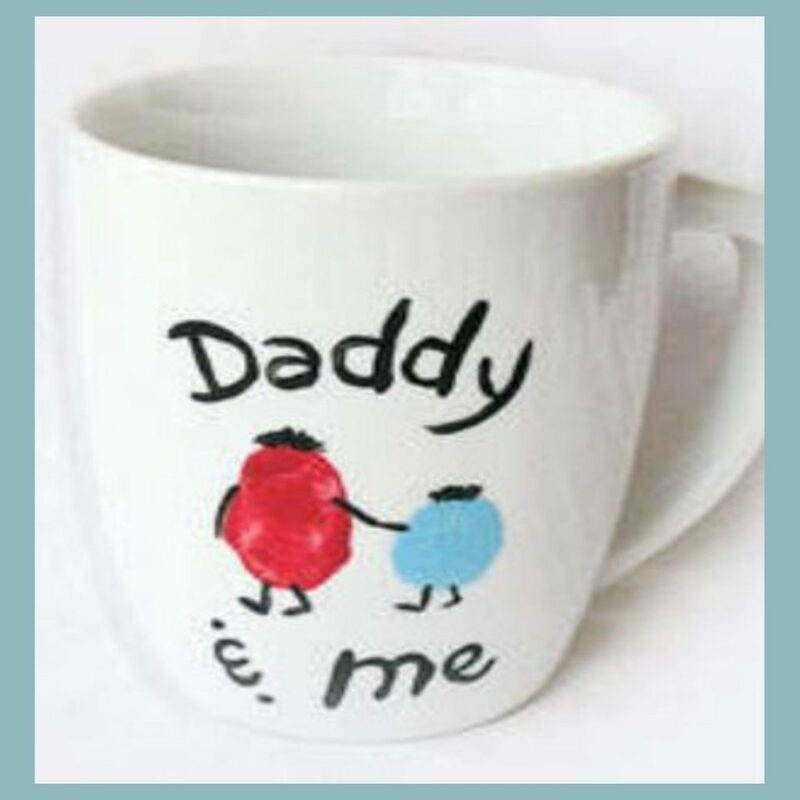 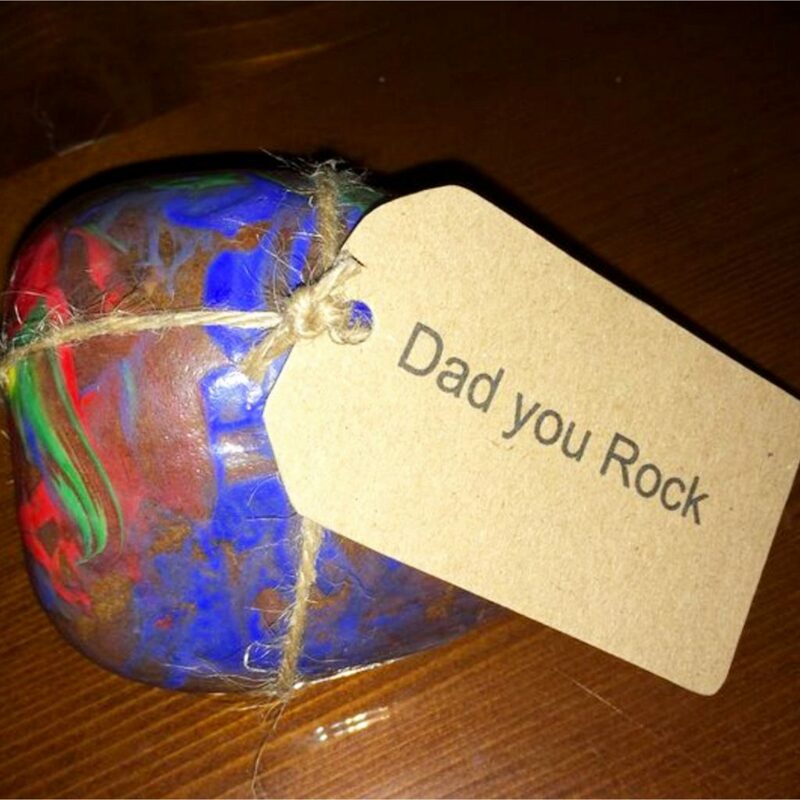 Let your dad know how special he is by making him your one of a kind Fathers Day gift. 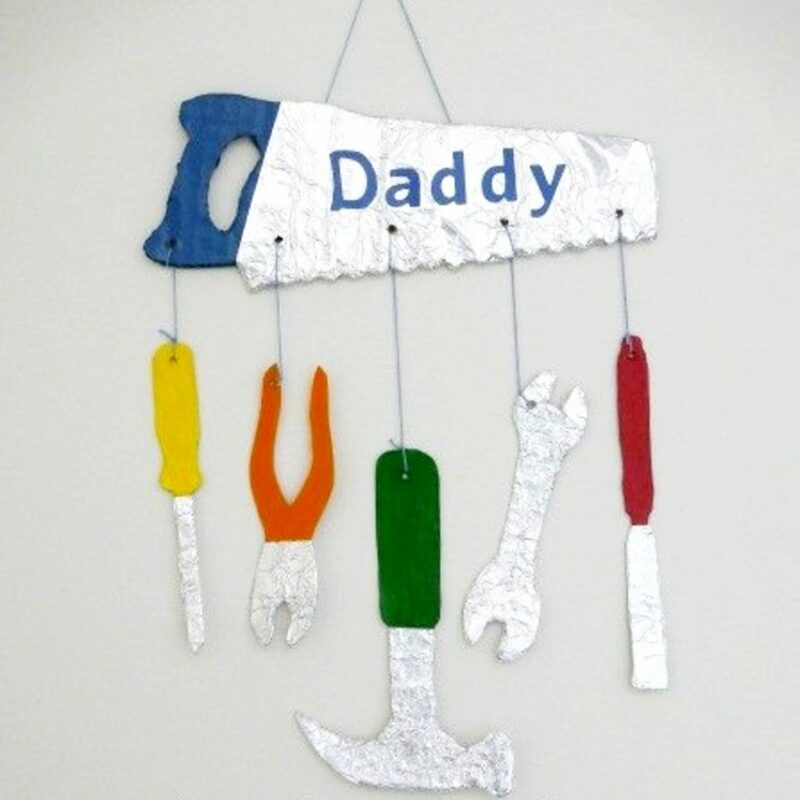 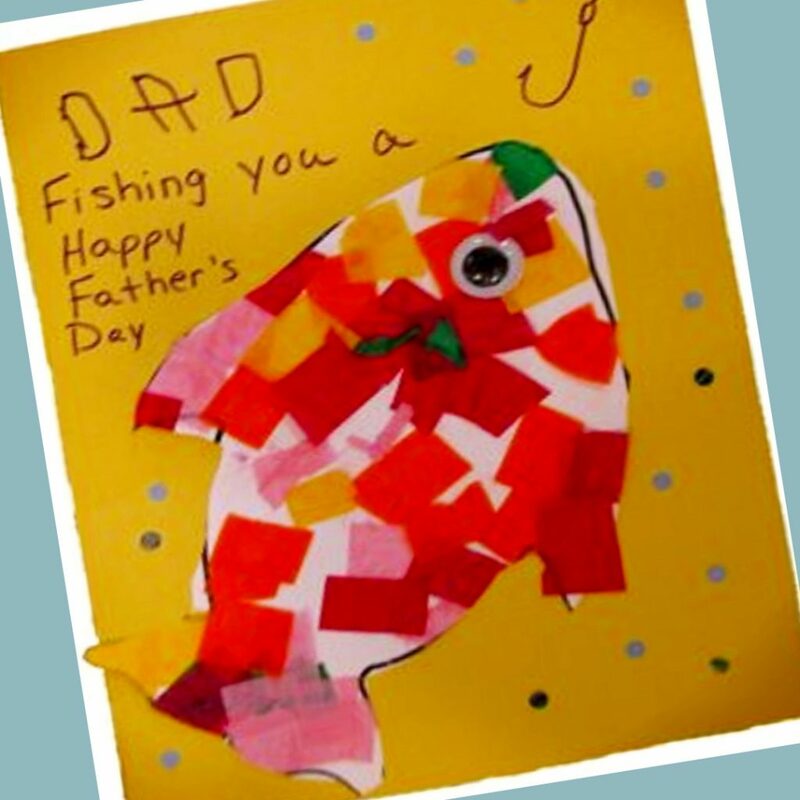 Want your kids to MAKE dad a gift this Father’s Day, but don’t want any difficult or complicated Father’s Day crafts? 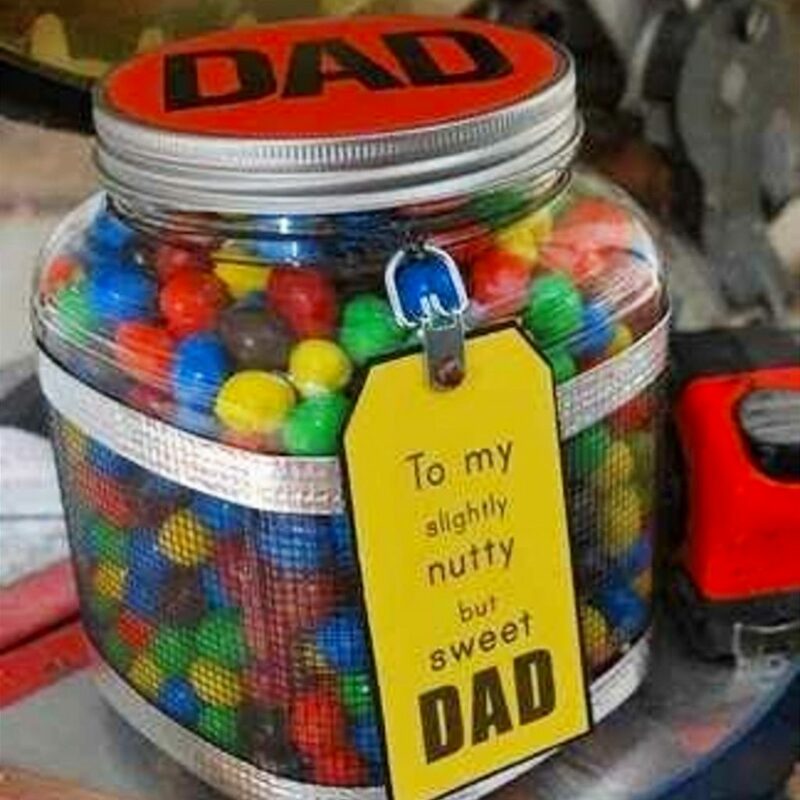 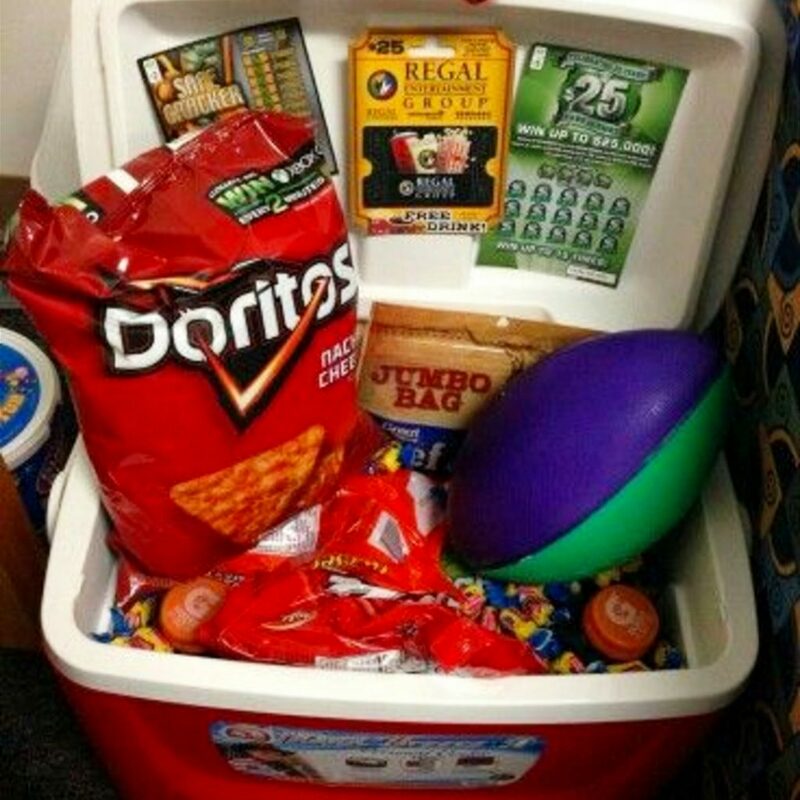 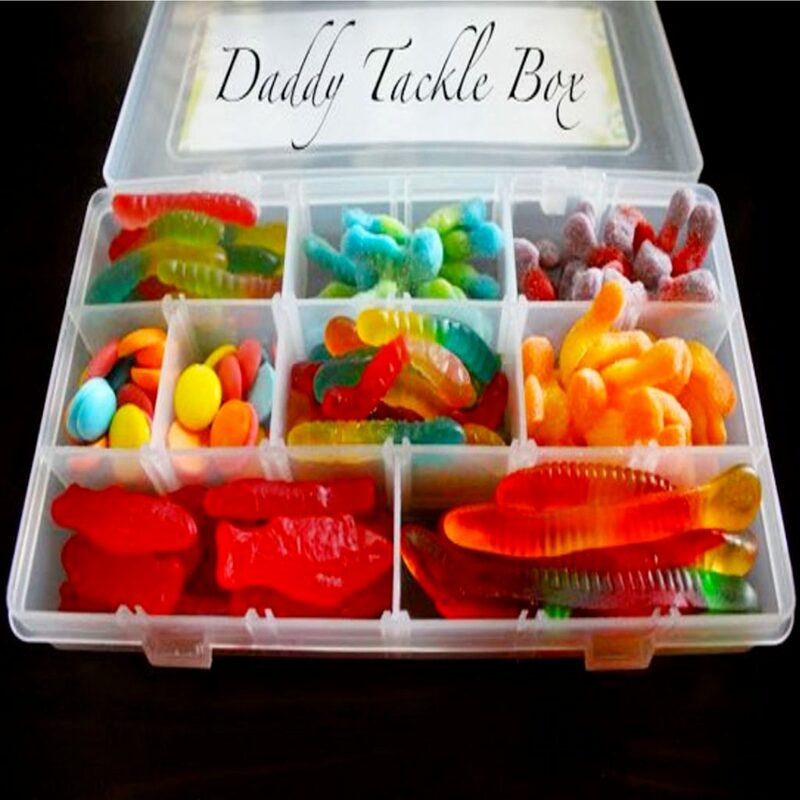 Why not try one of these homemade Father’s Day gift ideas? 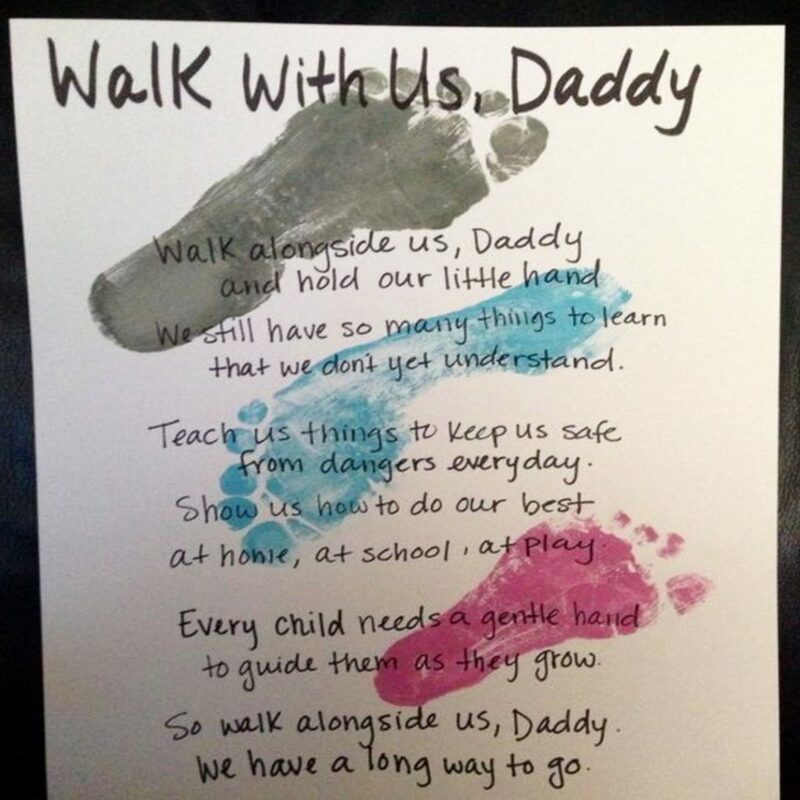 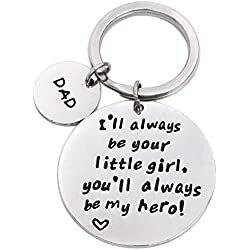 A small bookmark-shaped strip of poster board with the childs’ photo glued on one end and the words “I’ll save your place, Dad” written on it. 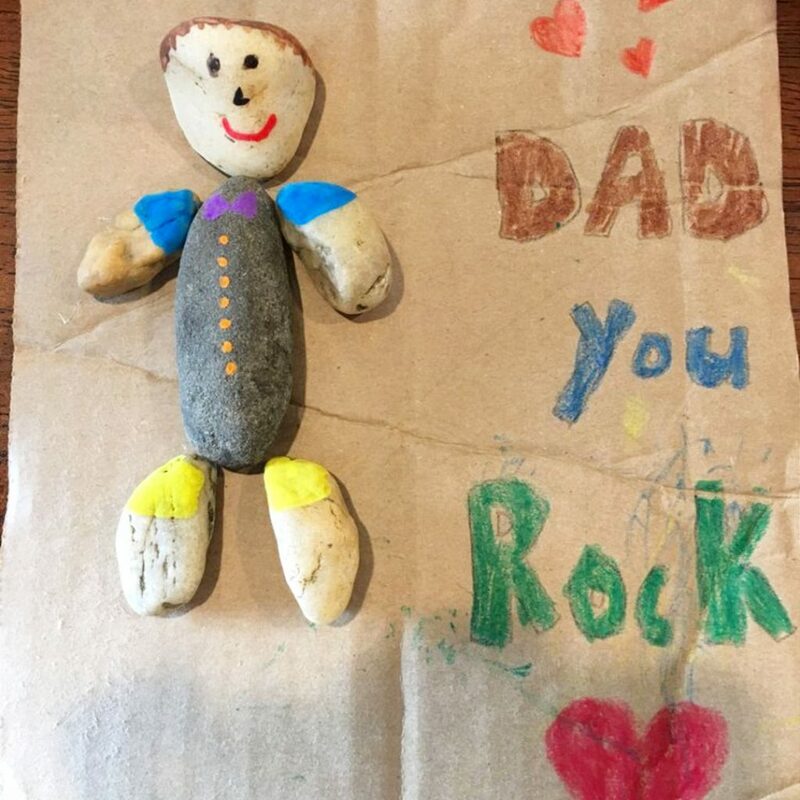 Fill a latex examination glove or a balloon with clean sand. 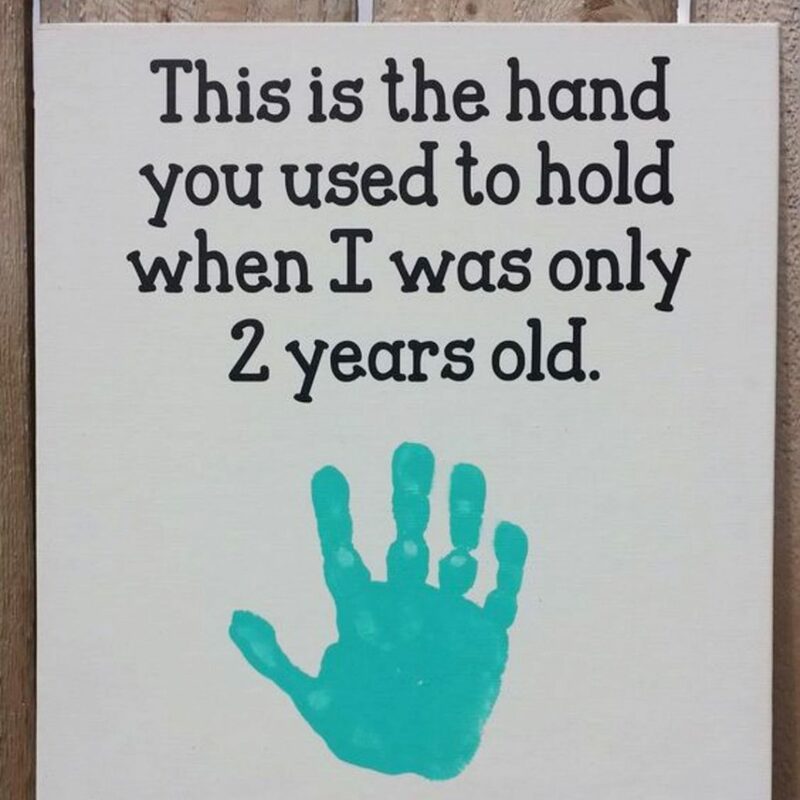 Fill the glove until it is very full. 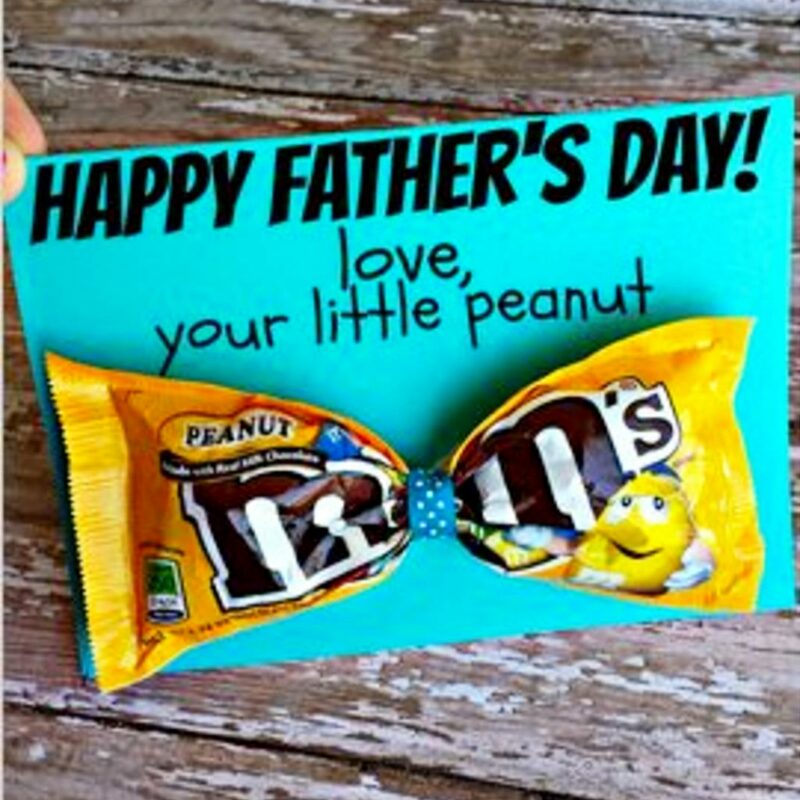 Now tie the glove in a knot. 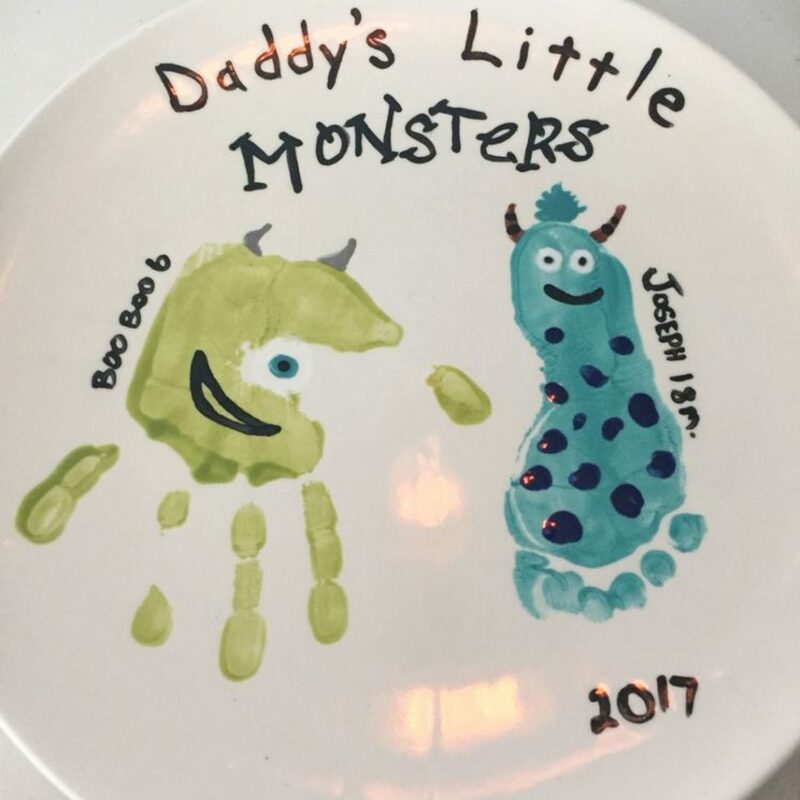 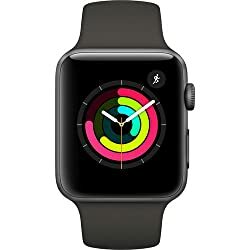 Let the kids decorate it with permanent markers all colors. 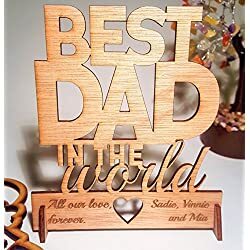 On the palm area write: The best Dad, Hands Down! 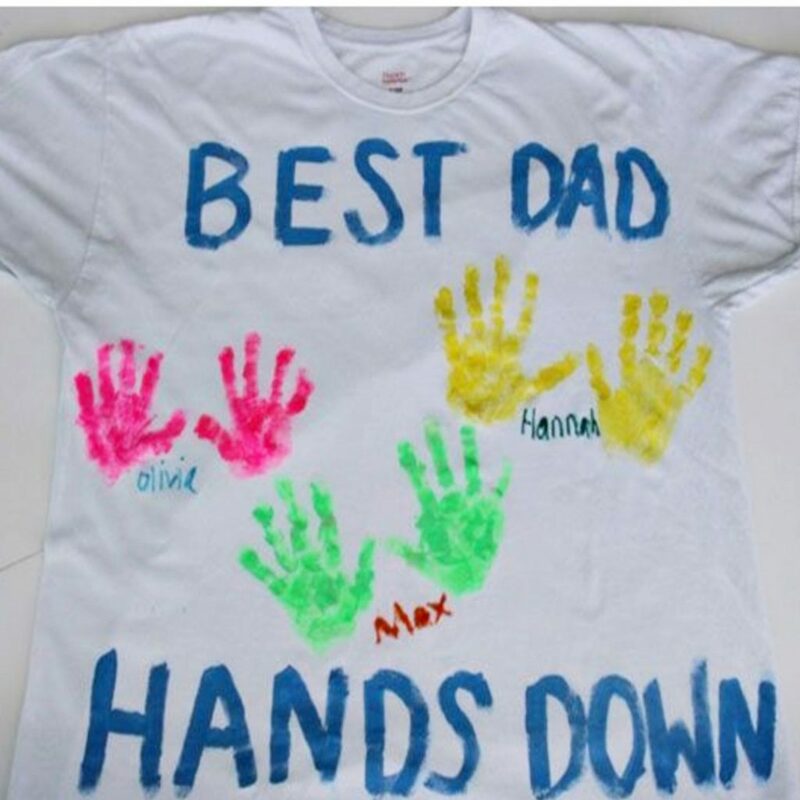 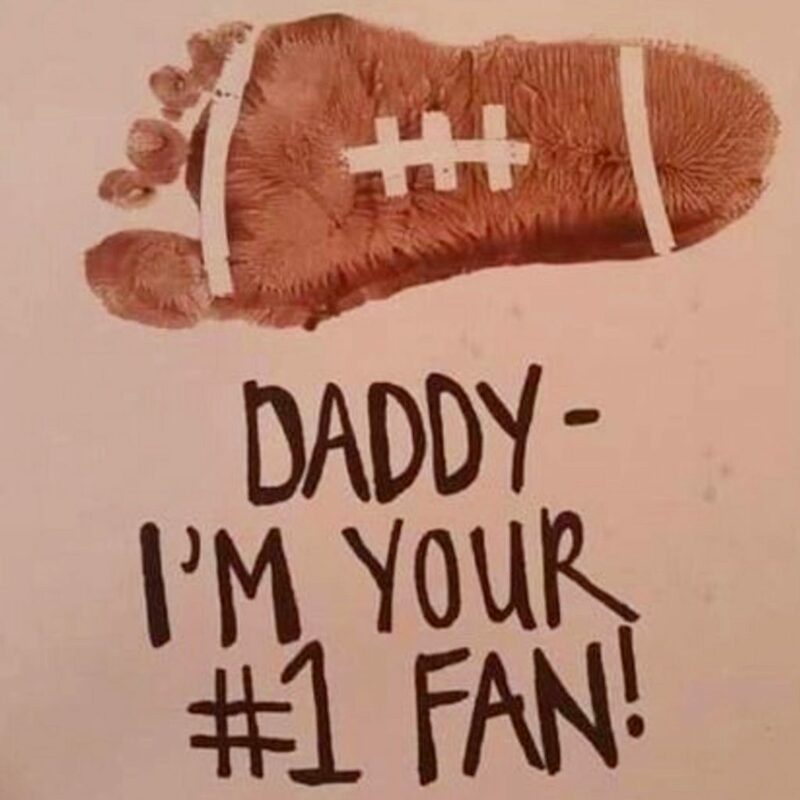 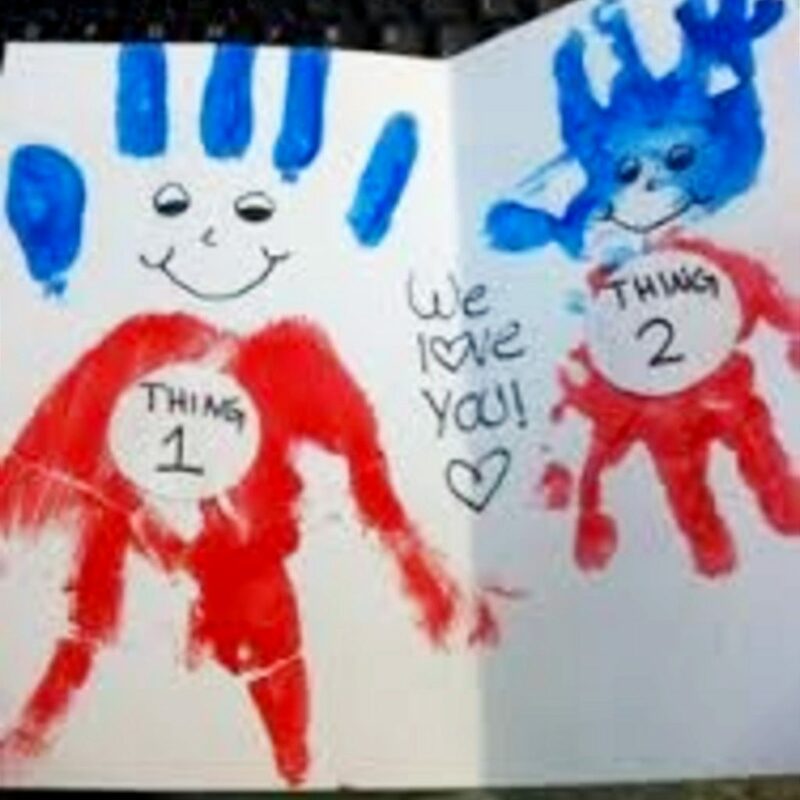 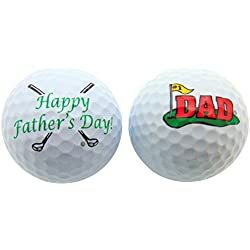 On the fingers add smile faces and add hair etc…Write: I Love You down the fingers and Happy Fathers Day on the back palm area. 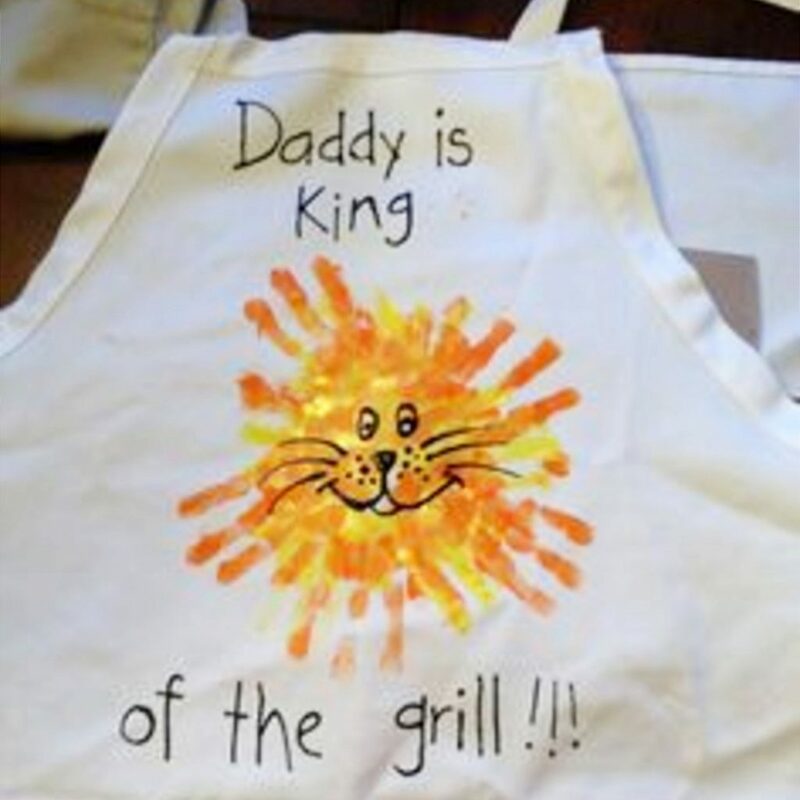 Keep in mind that you want the glove to be full so that the fingers stand upright. 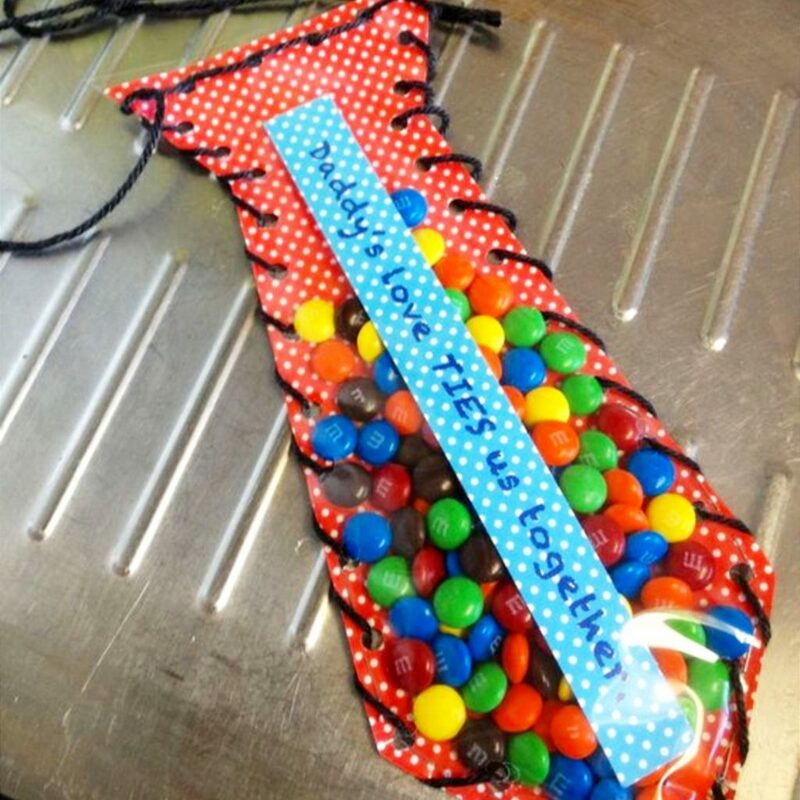 You also need to squeeze out any air that is inside the glove so you don’t have a bubble. 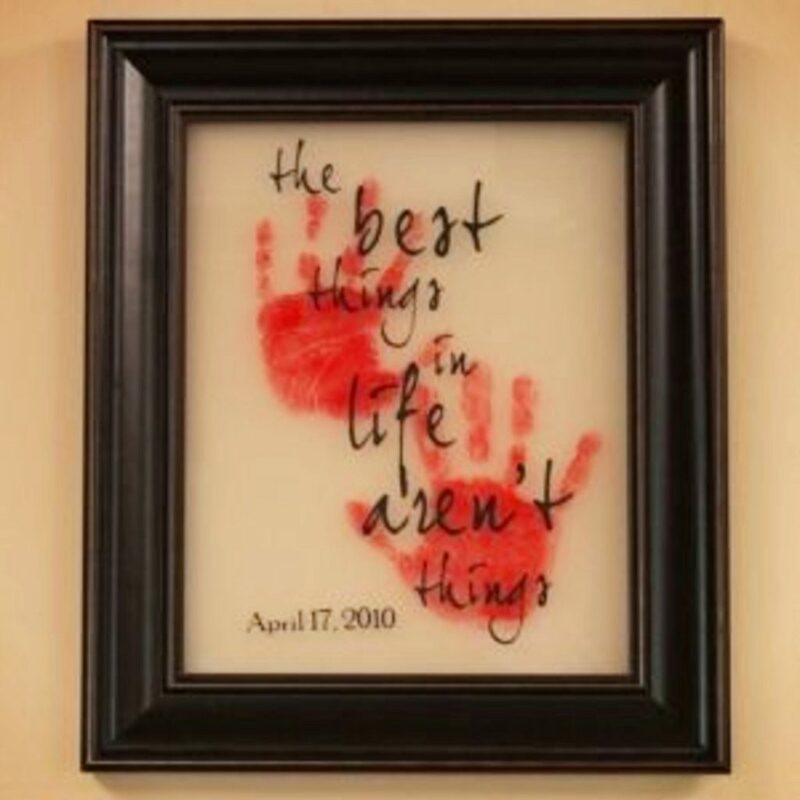 This blob hand is a great item to place on a desk. 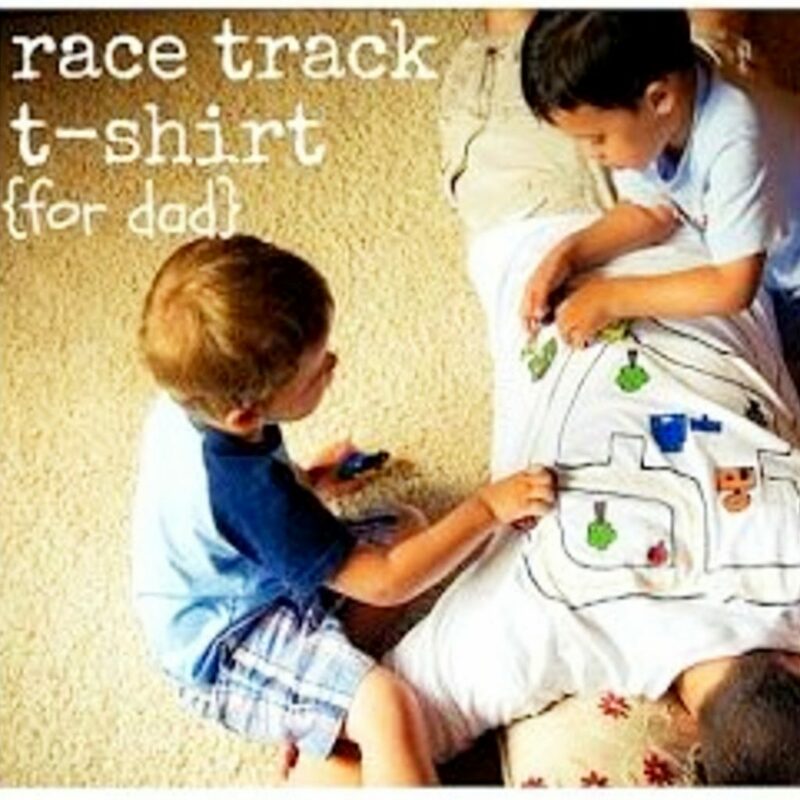 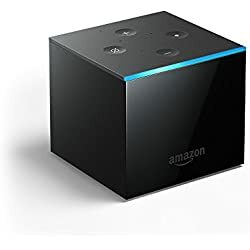 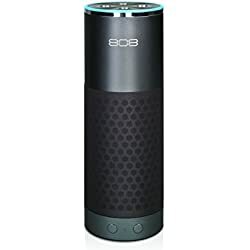 It can also be used as a great stress reliever. 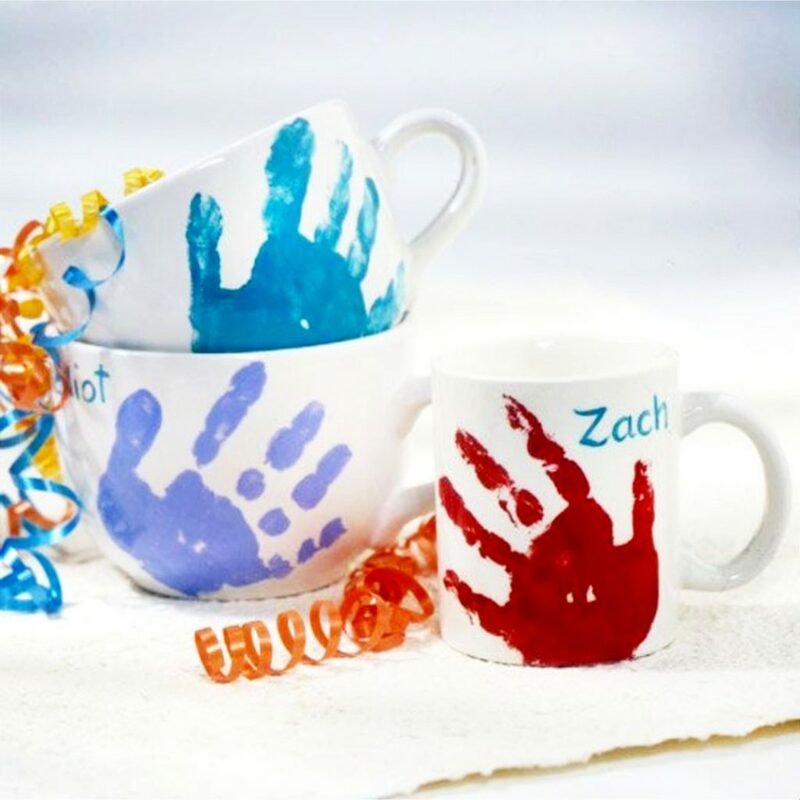 Let each child pick out an acrylic paint in the color of their choice. 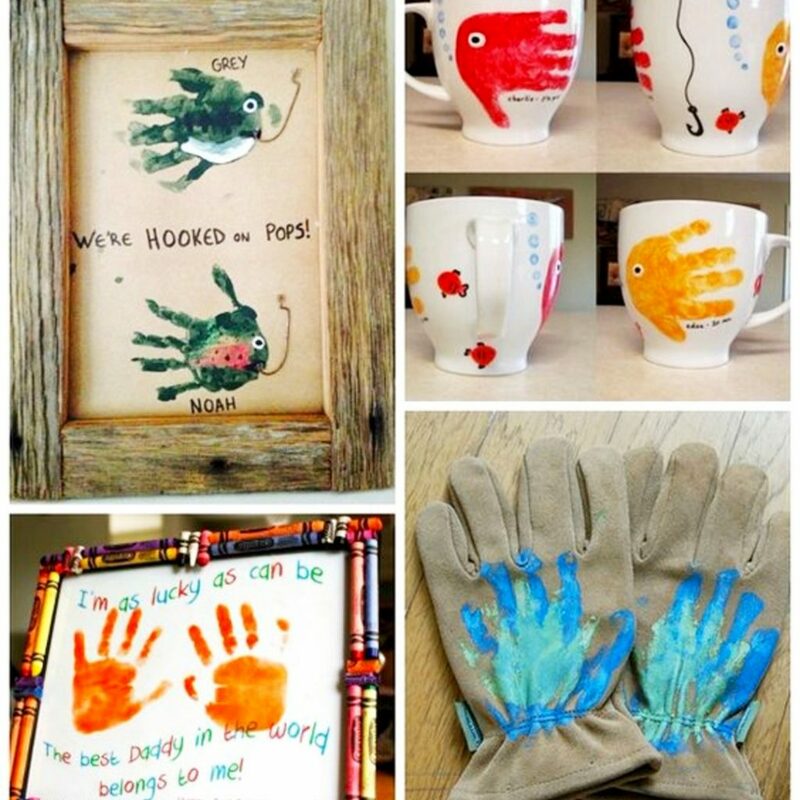 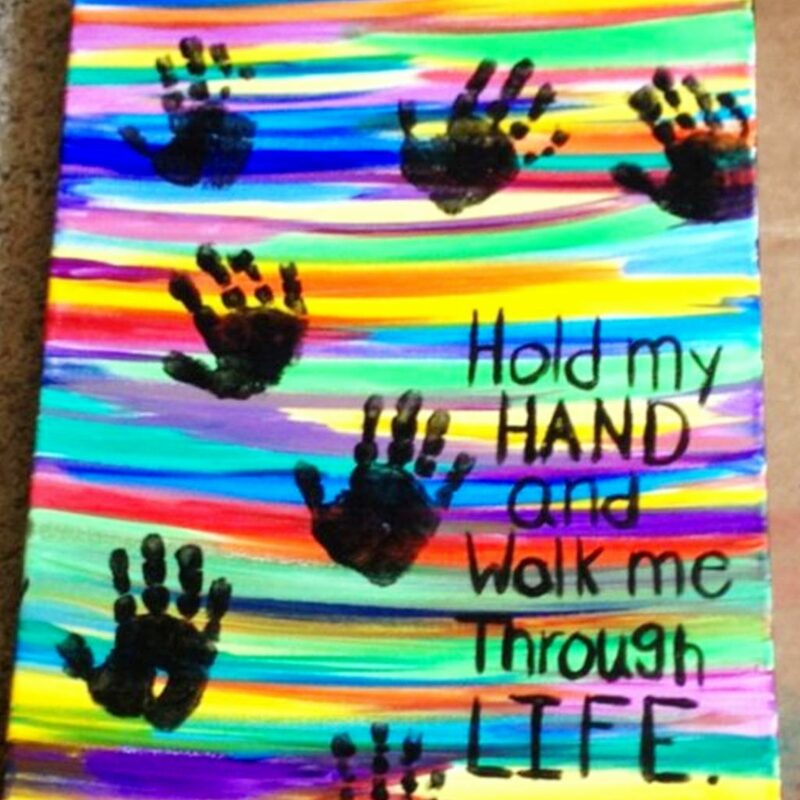 Paint each child hand with the paint using a foam brush. 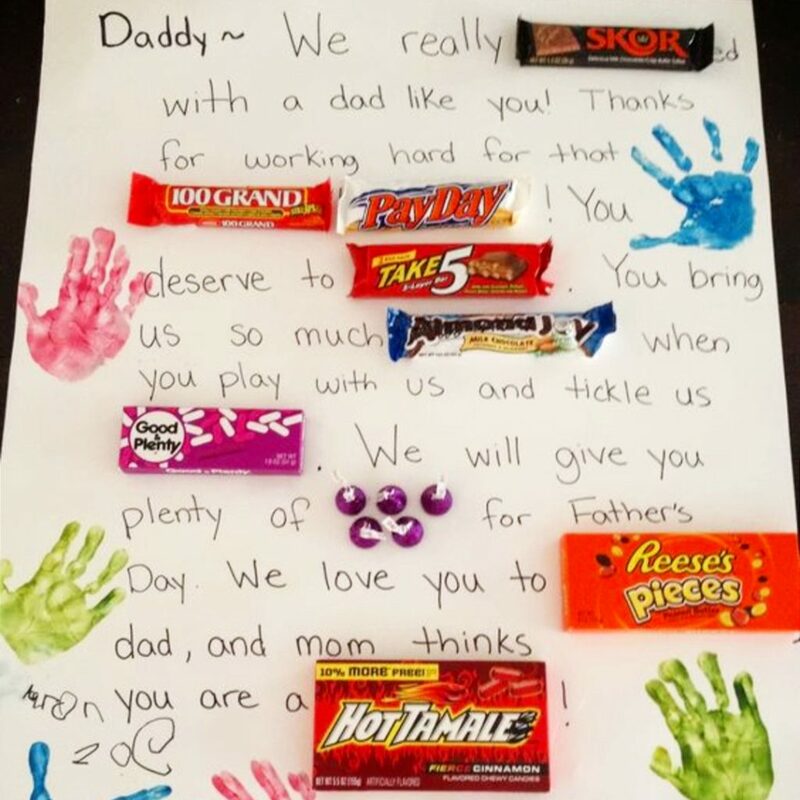 Positioned their hand over the paper & pressed. 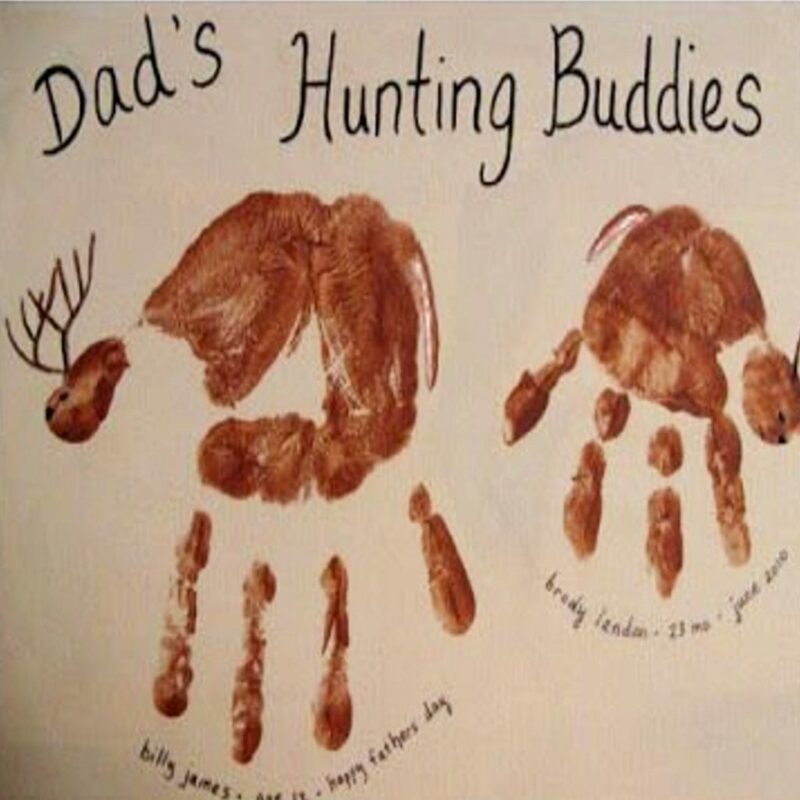 Use a gold paint marker & made a bow on the index finger. 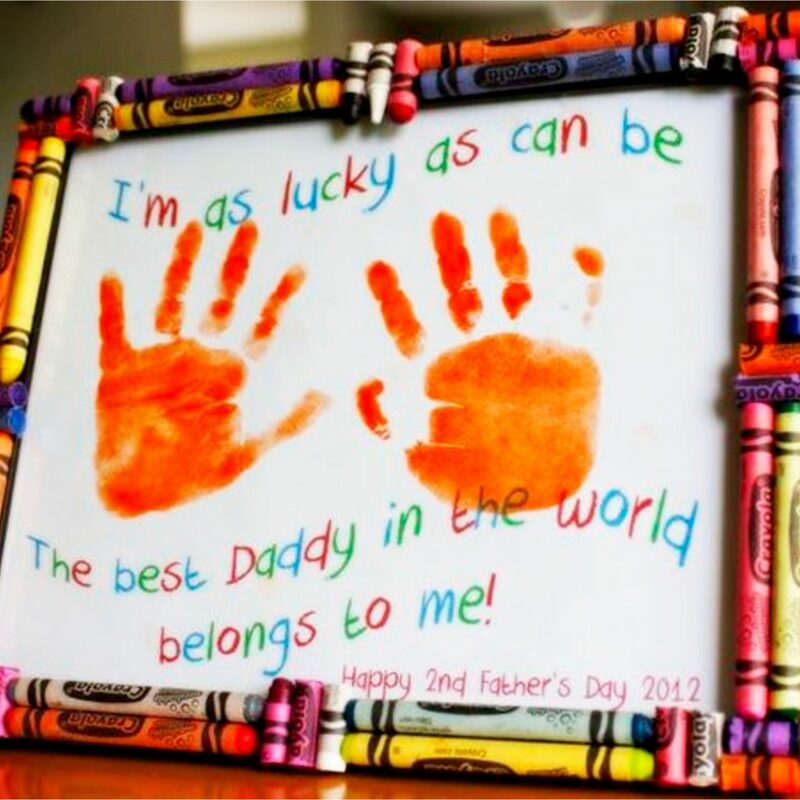 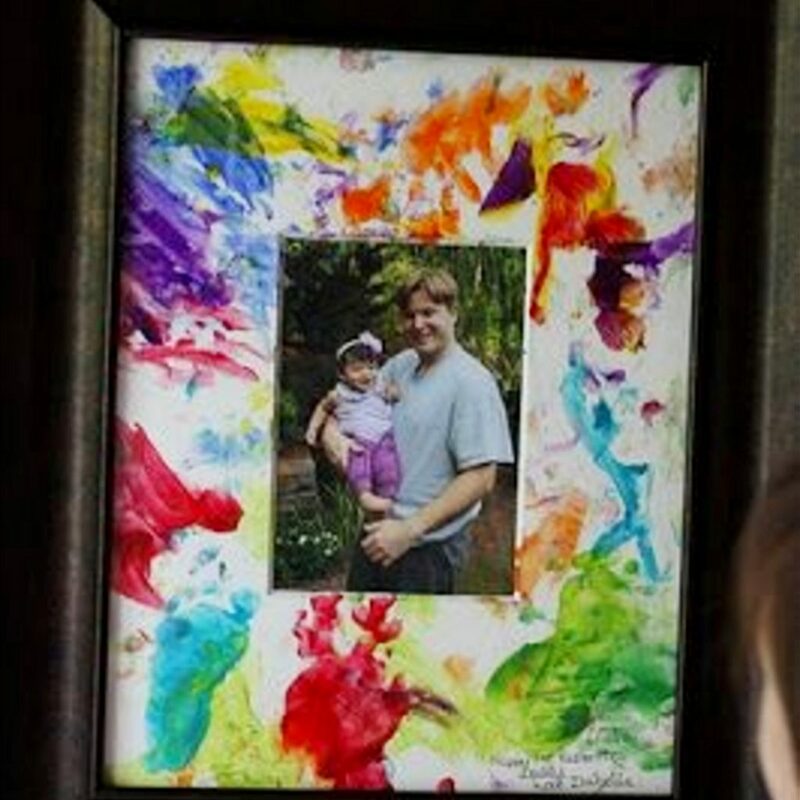 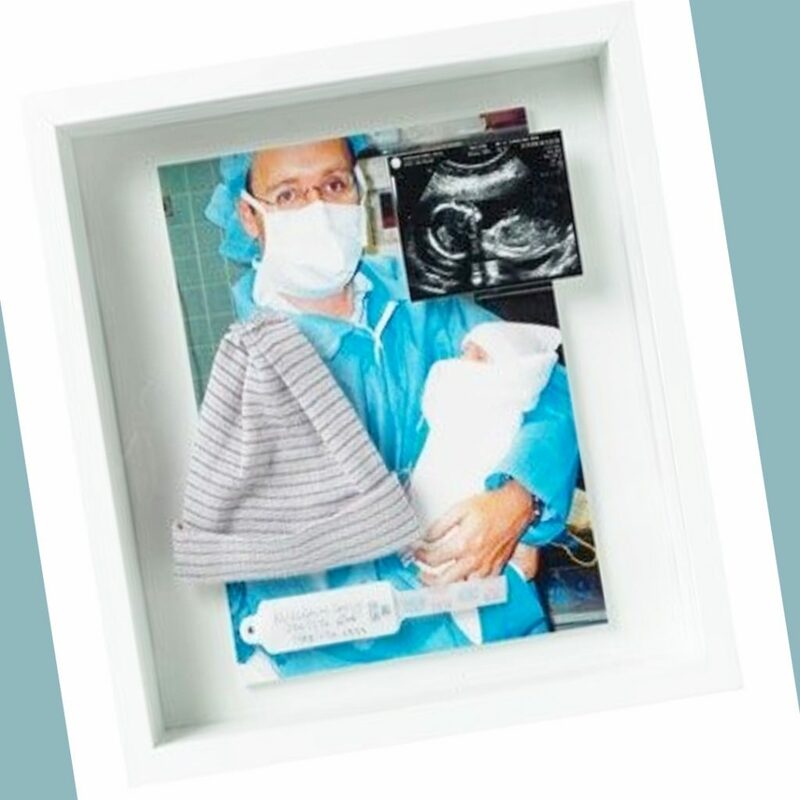 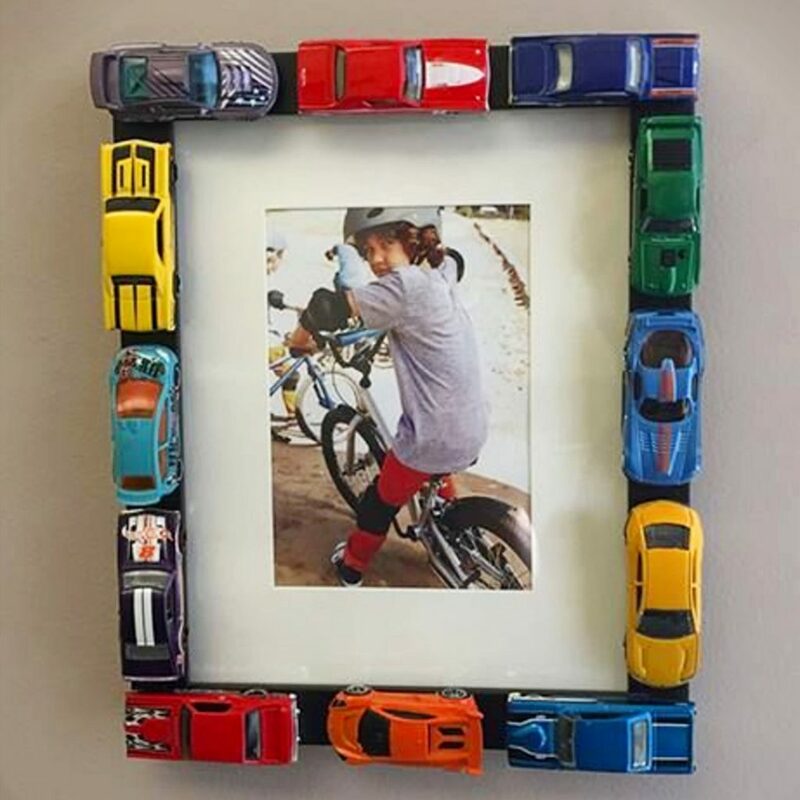 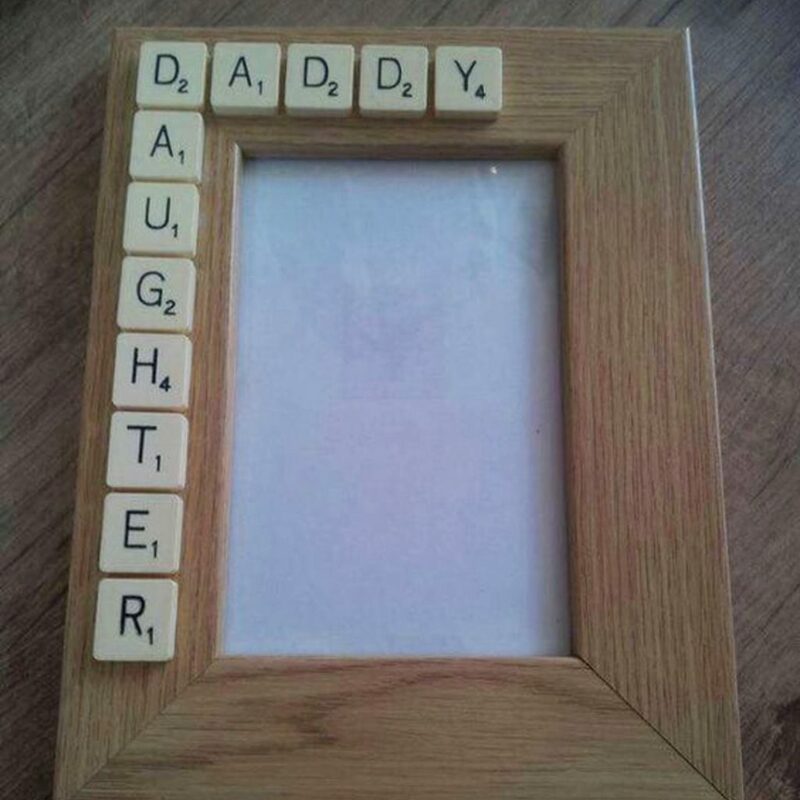 Place in the frame and wrap your cool father’s day crafts kids can make artwork.